As the summer season officially begins America’s trucking industry sees the beginnings on the 80th National Truck Driving Championships, a competition of professional truckers hearkening back to 1937. According to the American Trucking Association, Qualifiers from across the country for the 2017 National Truck Driving Championships were announced earlier today by the ATA. In a press release issued by the association earlier today, ATA President and CEO Bob Spear recognized the event as a gathering of industry to come together and recognize the importance of safety in the industry. "The trucking industry comes together every spring and summer for a series of state truck driving championships culminating in the National Truck Driving Championships," said Spear. "ATA thanks all of the drivers and companies who made the commitment to participate in the competitions and we recognize your dedication to safety." 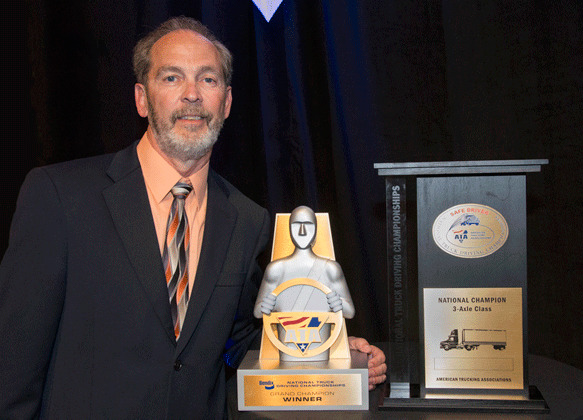 In order to advance to the championships, truckers across the country must win championships in their respective states with competitions in eight truck classes, reports the ATA. In addition to the practical skills championships, drivers must also demonstrate written skills and knowledge of trucks and safety-related protocol, including a comprehensive pre-trip evaluation. Accordingto the ATA, one driver from the competition will be awarded the 2017 national Truck Driving Championship Bendix Grand Champion. The Championships will also name a National Rookie of the Year, recognizing young drivers in the industry who demonstrate consistent knowledge and safety on the road. The ATA reports that the 2017 National Truck Driving Championships will be held at the Orange County Convention Center in Orlando, Florida on August 9 through August 12.